Jackson and Bassett, photo courtesy of ABC. I’m ecstatic! Fox Searchlight (the studio behind the glorious Beasts of the Southern Wild) just announced that they will produce a film version of Langston Hughes‘ former Broadway gospel musical “Black Nativity” (1961), to be re-written for the screen and directed by brilliant fimmaker Kasi Lemmons (Eve’s Bayou, Talk to Me). 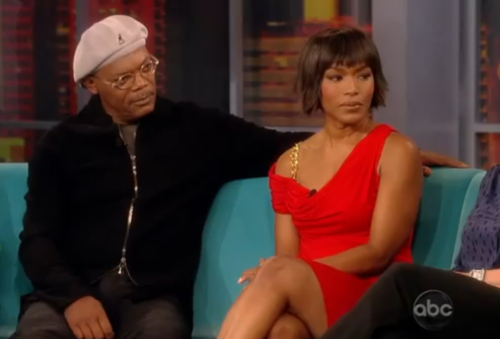 Fresh off their ferocious pairing in Broadway’s “The Mountaintop,” Samuel L. Jackson and Angela Bassett have signed on to the project. Jennifer Hudson, as well, is in the mix. Talk about a pedigree.